I am excited to partner with TruMoo to bring you this recipe. As always, even though this post was sponsored, all thoughts and opinions are my own. I have a family who struggles to eat vegetables. My son will eat 3 avocados a day if given the opportunity but won’t touch a piece of broccoli or any type of squash. Although he tries to set a good example, Mathlete isn’t much better when it comes to eating his vegetables. 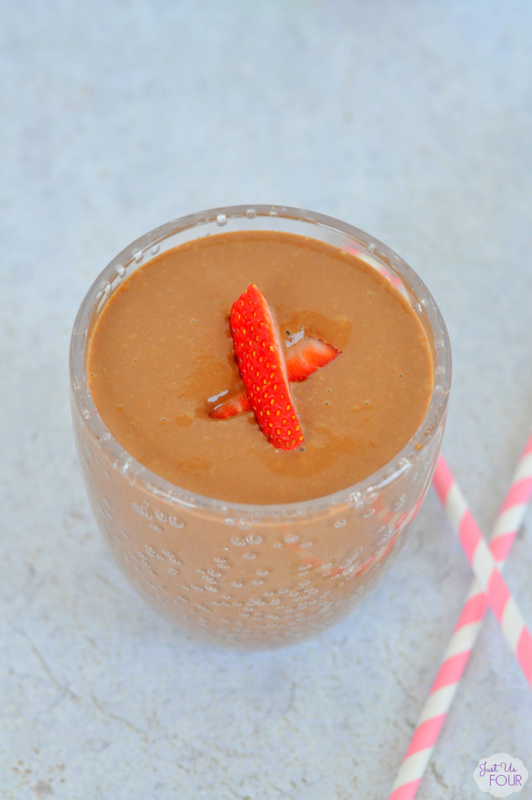 So, I try to sneak them in by making things like a hidden vegetable chocolate smoothie. Even though my family won’t always eat their vegetables, I know I can get them to drink chocolate milk or devour a chocolate smoothie. 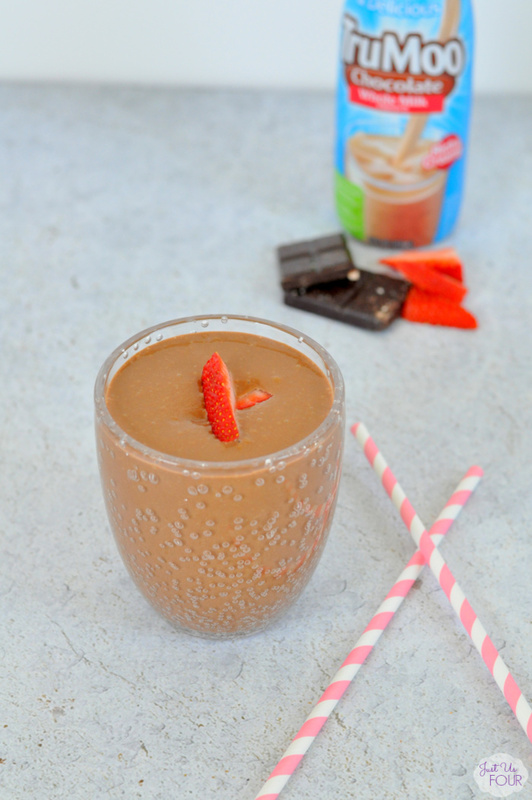 So, I use TruMoo chocolate milk and create a smoothie that tastes almost like a chocolate milk shake but secretly has healthy vegetables in it. 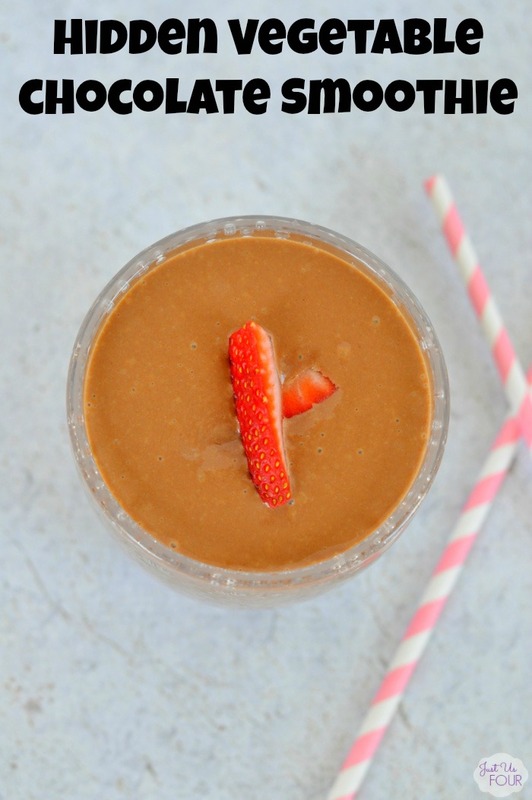 TruMoo has no high-fructose corn syrup or artificial growth hormones and is packed with vitamins and nutrients so it is the perfect healthy base for my smoothie. Plus, it is sourced from local dairies which is awesome. 1) In a blender, combine all the ingredients. Blend until smooth. If desired, add some ice cubes to make it more like a slushie. You can easily substitute pumpkin or any other finely pureed vegetable for the butternut squash. The combination of the chocolate milk and the cocoa totally masks the flavor of the vegetables. What are some of the ways that you get your family to eat vegetables? Are they big chocolate milk fans like mine? I know we couldn’t go very long without chocolate milk in our refrigerator before the complaints would start! It is so delicious on its own or when used in smoothies and milkshakes. In a blender, combine all the ingredients. Blend until smooth. If desired, add some ice cubes to make it more like a slushie. Substitute any finely pureed vegetable for the butternut squash. My kids love smoothies, so I hide a lot of veggies in there. I didn’t think about this one though. Thanks! Wonderful Idea! And it looks delicious! Thank you for partying with us at the Thursday Favorite Things Blog Hop! 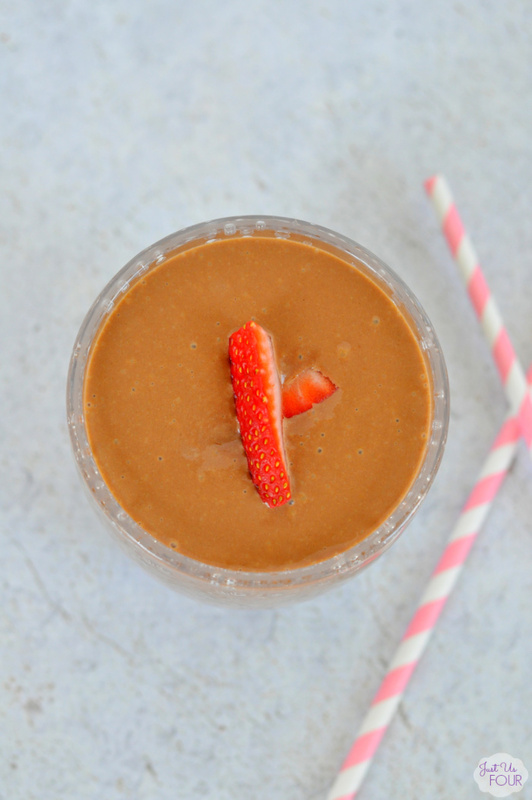 I love hiding veggies in my girls’ foods/drinks… great recipe! Thanks for sharing!